After the successful introduction of our first 4MB Apple IIgs Memory Expansion the ByteBoosters are happy to announce an improved revised version – the 4MB XLP (eXtreme Low Power) Expansion board. The first batch of boards is for sale on eBay for USD $59. Worldwide shipping for less than USD $10. All boards come fully tested on ROM01 and ROM03 machines with a 5 years warranty and 30 days money back guarantee (less shipping). 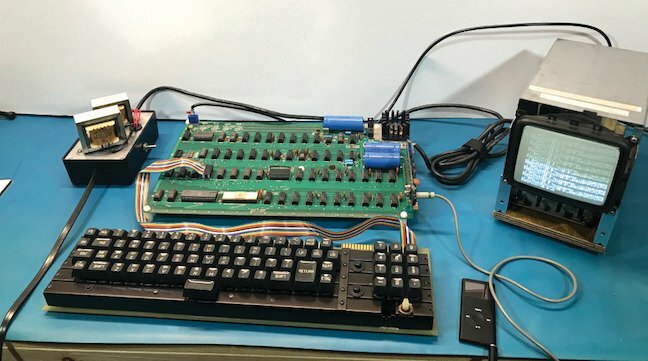 The estate of Bob Bishop has been selling off his various collections, and have now posted Bob’s modified Apple II (serial #13) to eBay. It’s not completely original but no one should care. This is the machine that Mr. Bishop used to program all of the nifty software we know so well, like APPLE-VISION, APPLE-TALKER and DUNG BEETLES. UPDATE (Dec 15, 2015, 4:58 PM EST): The computer sold for 1$7,877.00 USD + $18.80 S&H. In addition to their RAM card products, GGLabs is now producing a component video adapter for the Apple IIGS. You can see (and bid on) it via eBay. I think my only gripe is that it isn’t in a protective box.